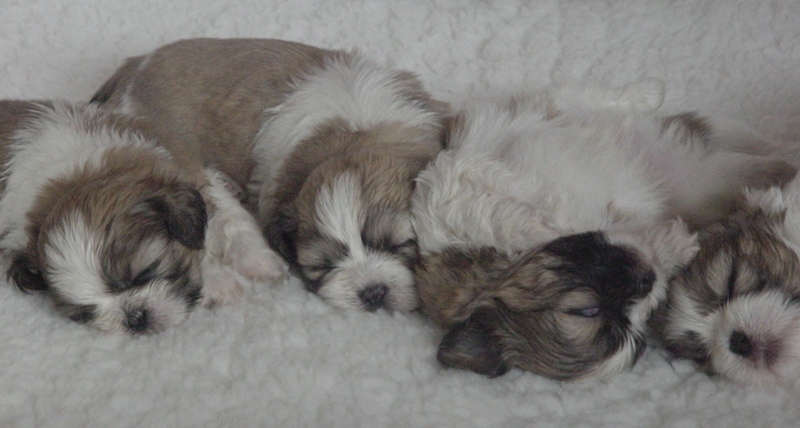 This lovely litter of Shih Tzu puppies were born on 07/08/16. This is our first litter of Shih Tzus. Both mum and dad of this litter have lovely natures and great temperament. These puppies are only available to permanant, loving homes where they will be kept in the house. Puppies will be KC registered and will come with 4 weeks free insurance and will be vet checked before they leave for their new homes. They will also be microchipped. We also provide a free bag of food with each puppy and a pet protector disc which protects against fleas for up to 4 years.